Can I opt out of accreditation? in which semester of your chosen study programme you can be placed. 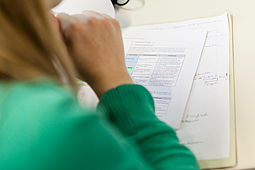 The accreditation of modules and examinations is conducted by HTW Berlin on the basis of the current University Regulations (§ 18, Annex 3) and the Framework Regulations for Study Programmes and Examinations (§ 29, § 30). A list of the necessary proof of modules and examinations for accreditation has been compiled for you here. do not exhibit any substantial differences in terms of quality, level, learning outcomes, scope and profile. This assessment forms the basis for the decision of the examination board. individual units (only complete modules are accredited). ungraded modules. In this case it is advisable to opt out of accreditation, as the subject will otherwise be accredited with the grade 4.0. The accreditation opt-out declaration specifying the respective subjects must be submitted with the grade transcripts by the application deadline. confirmation of this fact must be obtained from the examinations office of your university and submitted by the application deadline. Check the online application for HTW Berlin to see for which study programmes you are eligible to apply for a higher subject semester. You can only apply if higher subject semesters for that study programme are offered as an option for you to select. Your eligibility will be assessed at HTW Berlin based on your submitted documents. In study programmes of the same name, the numbering of the subject semesters will be continued. In related study programmes, your accumulated credits will determine which subject semester you are admitted to. If you apply for a higher subject semester, you increase your chances of admission to HTW Berlin. In many study programmes there are more free places for higher subject semesters than there are applications. What application documents do you need to submit in order to change university or study programme? 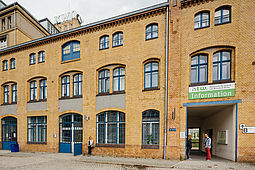 You want to transfer from another university to HTW Berlin? You are already enrolled at HTW Berlin and want to change to another HTW study programme?